Beautiful 25+ acres 2 miles from Windsor Boro. The seller currently has 2 horses - a spring fed pond that provides them water, tack room and large fenced area for them to wander. Seller also has 2 goats and pen area for them.There is a wonderful stream that runs along a lot of this property. Several roads on the property in the back 17+ acres.The house is in various states of completion. 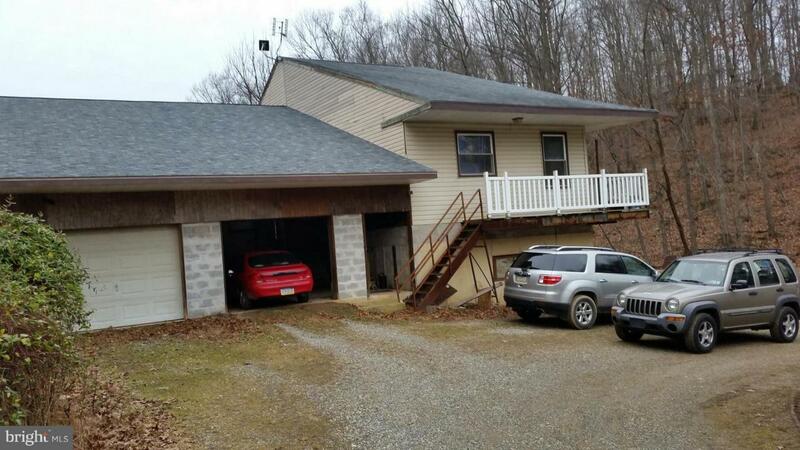 There are 2 two-car garages - one attached to the house and a separate large block garage. 2 story barn. But it all comes back to the land - the house sits on 7.34 acres (the stream runs down the entire one side) and there are 3 parcels in the back that total another 17.784 acres. These lot are stunning as there is a lot of cleared area, treed area with roads on them and the stream runs on the back one. The seller had as many as 14 horses on this proeprty in the past - it also used to be a deer farm and the deer trails are plenty.